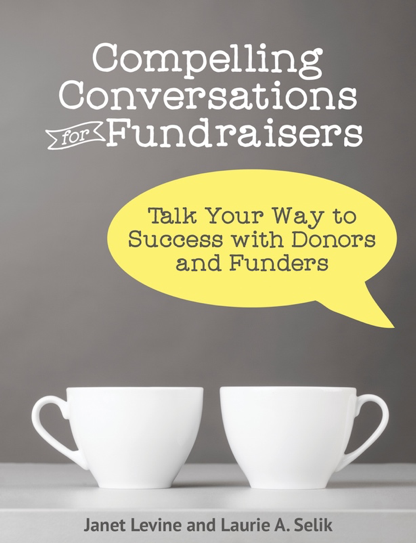 Too Busy To Fundraise offers insights and information on fundraising, marketing and communications for every one who needs to raise funds for a nonprofit organization . For over thirty years, Janet Levine has served the nonprofit sector, helping organizations to increase their fundraising capacity a nd create stronger boards. Starting in 1988 as Director of Corporate Relations for USC’s Engineering School, Janet worked as a front line fundraiser, ultimately becoming VP of Advancement at a public university. In 2007, Janet opened her consulting business. Her many clients have ranged from large to small, representing all areas of the sector. Janet Levine Consulting prides itself on taking nonprofits “from mired to inspired,” better able to fulfill their missions. In addition to her consulting and coaching practice, Janet is a much sought after presenter at conferences, a regular trainer for such organizations as the Center for Nonprofit Management, Valley Nonprofit Resources, Academy Go, and the The Nonprofit Partnership. She teaches three online classes for Ed2Go and has been on the faculty at UCLA’s fundraising certificate program. As always, great post Janet! Most concur… The poor, downtrodden NPO is a thing of the past. Nonetheless, it’s a hard mindset to shake off. Yes, we rely on our supporters to continue our mission and strive towards our vision, but we can’t forget that it’s our mission that *inspires* donors to give. By adopting this way of thinking, you empower your donors, especially when you make the necessary effort to appropriately thank them for the organizational growth, development, and impact for which *they* can take ownership!